Each issue will feature 48 pages of content: a main comic story, a backup comic story and a backup prose story. Artists working with de Campi include Katie Skelly, Alejandra Gutiérrez, Carla Speed McNeil and Trungles. 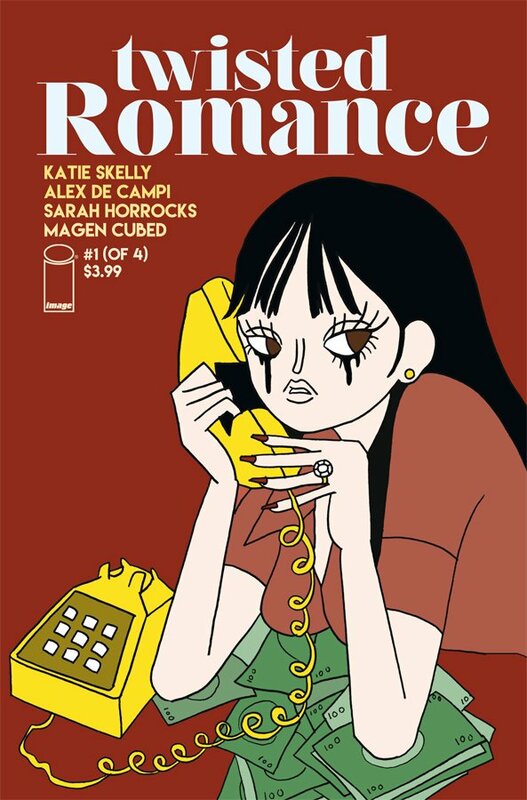 TWISTED ROMANCE #1: “Old Flames” arrives Feb. 7, featuring art from Katie Skelly (My Pretty Vampire, Nurse Nurse), a backup comic from Sarah Horrocks (Goro, The Leopard), and a prose story by Magen Cubed (Crashers). 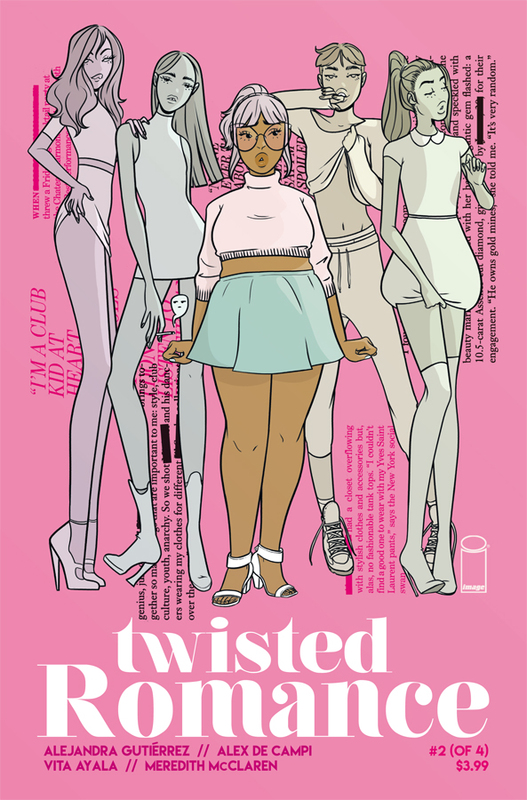 TWISTED ROMANCE #2: “Twinkle and the Star” hits shelves Feb. 14, with art from Alejandra Gutiérrez (Love is Love), a backup comic from Meredith McClaren (Hinges), and a prose story by Vita Ayala (Batman Beyond). 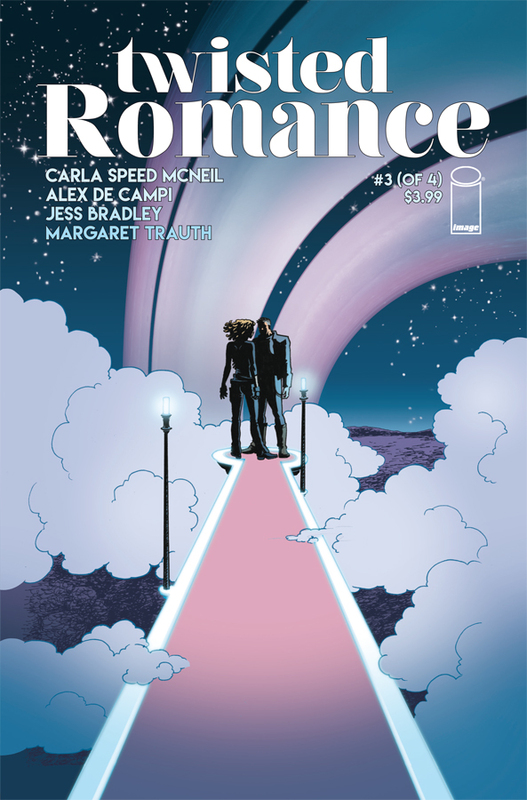 TWISTED ROMANCE #3: “Invincible Heart” will be available Feb. 21, with art from Carla Speed McNeil (No Mercy, Finder), a backup comic from Margaret Trauth (Decrypting Rita), and a prose story by Jess Bradley. 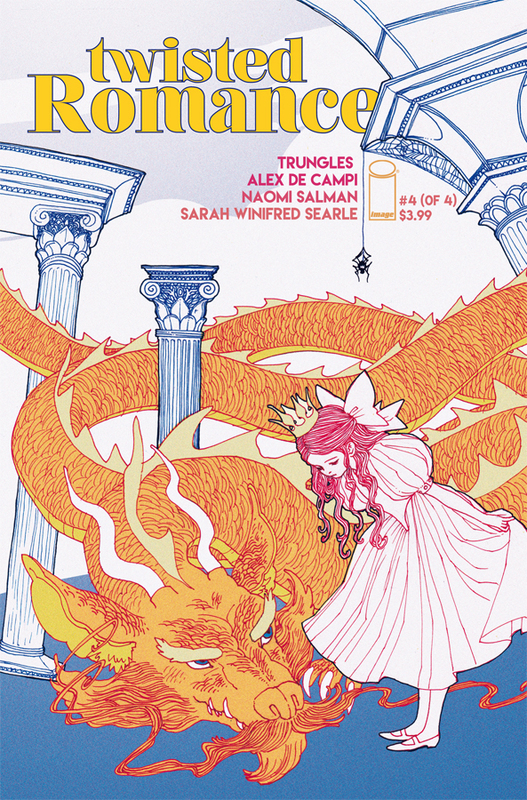 TWISTED ROMANCE #4: “Treasured” hits stores Feb. 28, with art from Trungles (Mirror Mirror, Fauns & Faeries), a backup comic from Sarah Winifred Searle (Fresh Romance), and a prose story by Naomi Salman.